Hawaii has made significant strides to bring a clean transportation future to fruition. At the end of 2017, Hawaii’s four mayors made a historic proclamation pledging to transition all ground transportation in their counties to run on renewable sources by 2045 (and by 2035 for public fleets in Honolulu, Maui, and Kauai Counties). 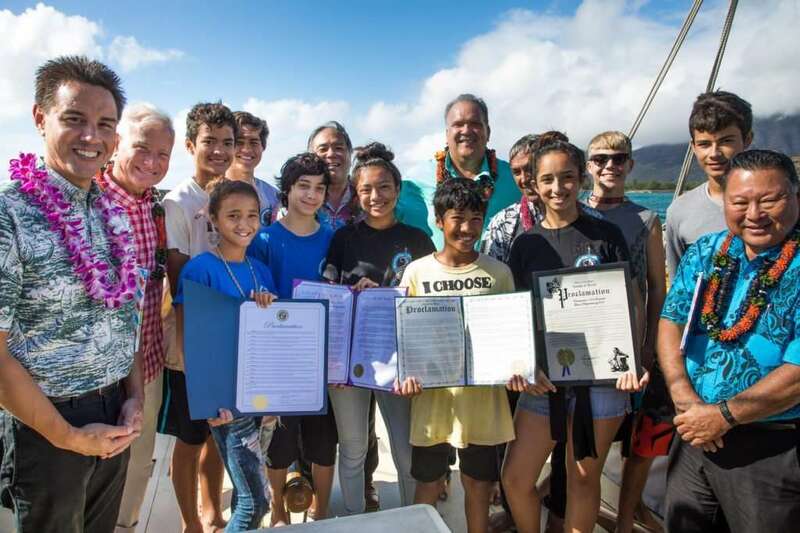 The Sustainable Transportation Coalition of Hawaii (STCH) and Blue Planet Foundation were instrumental in bringing the four mayors together for the proclamation signed aboard the Hokulea last December. 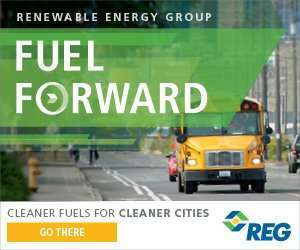 Since 2016, Blue Planet and STCH have been advocating for a 100 percent renewable transportation goal to complement the state’s mandate for 100 percent renewable electricity by 2045. Heading into 2018, Hawaii made significant strides to bring a clean transportation future to fruition. 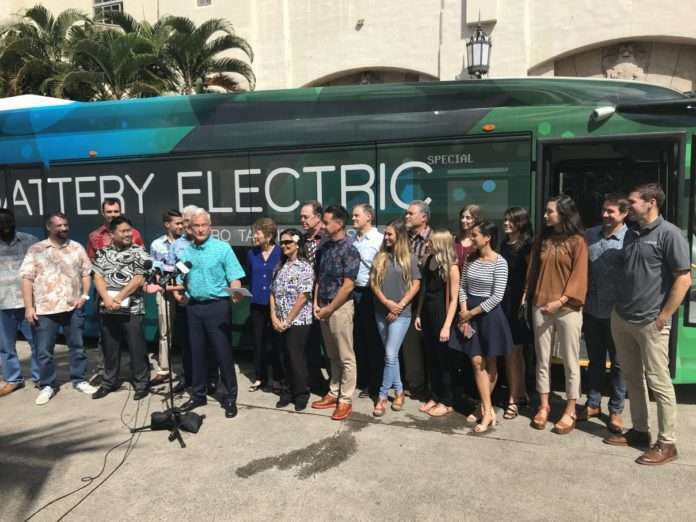 At the end of January, Blue Planet and the STCH joined the City and County of Honolulu to celebrate the launch of Oahu’s first electric bus, which will be tested on 23 bus routes on Oahu. The new electric bus pilot is a first step toward the City’s commitment to transition its fleet vehicles to 100 percent renewable transportation. 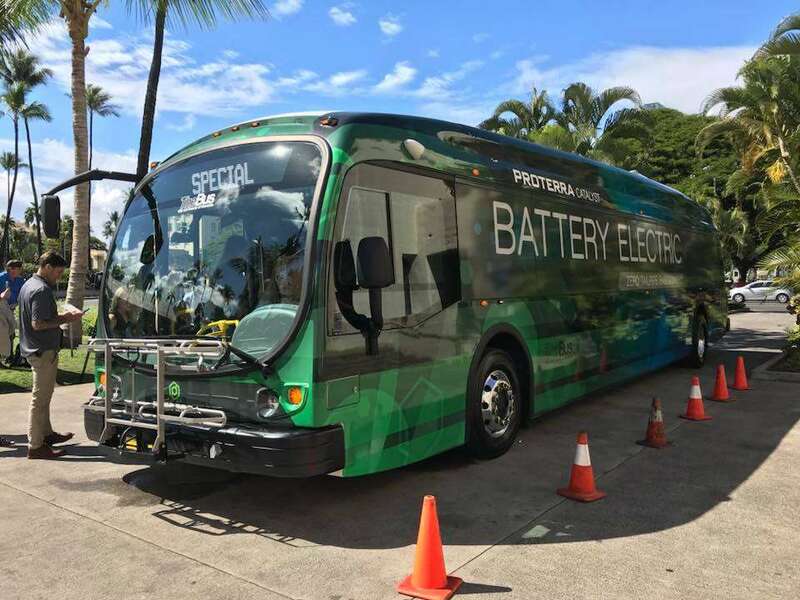 The ProTerra bus recently acquired by Oahu. Hawaii’s Mayors pose with students from Kamaile Academy after signing proclamations in support of aggressive 100% renewable transportation targets. The signing took place on the Hōkūleʻa, a traditional Polynesian voyaging canoe, which recently circled the globe using traditional non-instrument voyaging and wayfinding techniques. Next articleEnergy Independence Summit 2018: a big success!